4 out of 6 (66.7%) reviewers said they would recommend this vehicle to a friend. Mazda is widely known to have the best handling amongst the asian car makes and this face-lift is living up to its name. - minor change to the exterior w a new grille. Coupe like design makes the car looka sporty. The only downside is lower headroom, particular for passengers at the rear. Test drove superb and mazda 6 on the same day since both are around 130k. 2.0 was a complete turtle while 2.5 was also super sluggish. Handling was great, however cannot be compared to new G10 530i. If anyone is looking for this car, do not buy it. Boot space is minimal at just over 400 litres. For refernce superb has 600 litres. Even a thai made honda civic sedan has 520 litres. Cannot fit weekend prams, groceries or golf bags comfortably. Engine makes rough note when revved. Additionally, the strain on the engine made the car accelerate no faster. Limited headroom at the rear makes occupants 1.7m and above to take grab. Suspension was bumpy and could not take bumps as well as something like a b8 passat. Price was 139k for top spec 2.5. Features were no where near continental competitors. Poorly insulated cabin and cheaply built cabin was extremely disappointing. Would only buy this car if I'm broke. Please avoid it totally! Test drive one and you would understand what i mean. This is my first car so my review only comes from my experience with the car for a few days and my previous rental and test drive experiences. The Mazda 6 is a great balance among quality, performance and money. Among my shortlisted cars - Civic 1.5, Stinger and Mazda 6 2.0 Executive, I picked the Mazda 6 because it comes with enough power for SG streets, responded quickly enough for my acceleration needs, equipped with the premium feeling fit and finish and came with all the nice driving assistance features. And it's the cheapest among all three options. For a car that will last for at most 10 years in SG, I don't know why would anyone buy the Camry over this. I would strongly recommend anyone who consider Mazda 6 to go for at least the Executive model for all the extra features. You'll regret buying the standard when you know you could have keyless entry, HUD, blind spot monitoring and a nice sound system with just a few thousand extra. I especially like the HUD, it shows the speed, current speed limit and blind spot alert for both sides. It also shows navigation if you use built-in map but I've never got the map working. I just purchase Mazda 6 standard and got the car for less than 2 weeks. Overall, it is quite a decent car with all the basic feature. I like the exterior and interior design. I regret not having the deluxe model with the auto lock when you away from your car and you can lock the car without taking out the key. The petrol consumption is quite high, at about 1 litre/ 9km. I run on 50% Highway 50% City. Went over to test drive Mazda 6 2.5 last weekend.Wanted to feel what was all the hype about.So..Here goes. If you are looking to go on a car hunt, the Mazda showroom is one that you should not miss. The Mazda Range is one of quality and promises comfort. Test it out for yourself to believe. This is what I have to say after test driving the Mazda 6 and Mazda CX 9. These 2 models are the flagship models in their respective segments. With this belief in mind, I invited several car enthusiasts who drive the 2008 registered S5 just like me to go for a car hunt at Kia, Toyota, Audi, Nissan and Mazda. Some of us definitely got excited at what this legend can offer. I personally swayed towards the Audi SQ5. This review is written in a continental car driver perspective hence it may not apply to everyone. Authorised Distributor Mazda cars are Mazda 2 Hatchback Reviews, Mazda 2 Sedan Reviews, Mazda 6 Wagon Reviews, Mazda CX-3 Reviews, Mazda CX-5 Reviews, Mazda CX-9 Reviews, Mazda MX-5 RF Reviews. Parallel Imported Mazda cars are Mazda Axela Diesel Reviews, Mazda MX-5 Reviews. sgCarMart is the number one car site for buying Singapore cars, including new cars, parallel import cars, Toyota, Honda, Nissan, Volkswagen, Mitsubishi & BMW. 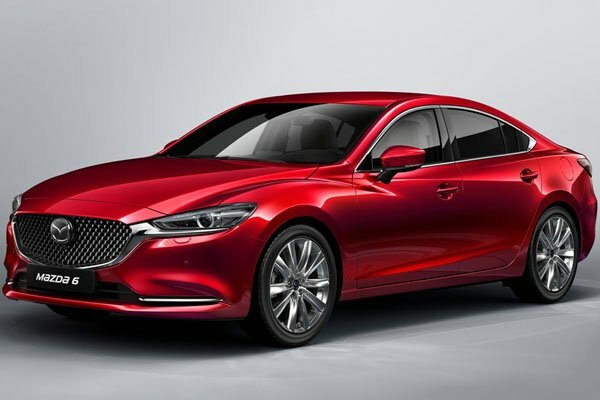 We have new car dealers comprising parallel importers, authorised car distributors, and used car dealers who have the New Mazda 6 latest price Find new car pricelists, new car launches, new car promotions, new car reviews, latest car news & car articles. Read the New.Mazda 6 consumer reviews to help you decide on buying a car. Also join our car discussion and forum discussion for car reviews, motoring news & motoring guides. Visit our partner sites who have job openings for Singapore jobs, Singapore classifieds, mover and real estate properties for sale.